Mrs. Martha L. Thomas, age 81, of Nashville went to be with her Heavenly Father Thursday, March 15, 2018. She was born December 18, 1936 in Nashville to the late Jake and Dialthia Langford. She is also preceded in death by her husband, Billy Thomas. Mrs. Thomas is survived by her son, Billy Dean Thomas (Theresa); daughter, Rhonda King (Edward); grandchildren, Gloria King Walters (Chris), Amanda Ford (Andy), Heather Collins (Gareth) and BJ McMillan (Tony); great-grandchildren, Kateland Coble, Karlee Tracey (Steven), Connor Collins, Bella Collins, Allie Ford, Abby Ford, Ryan and Anna Grace McMillan; seven great-great grandchildren; and her good friends, Faye Elkins and Mitsy Crafton. The family will receive friends Friday evening from 4-8 pm and Saturday morning from 11 am – 1 p.m. at West Harpeth Funeral Home. A celebration of life funeral service will be held at 1 p.m. in the chapel of West Harpeth Funeral Home with Pastor Dan Shapley officiating. 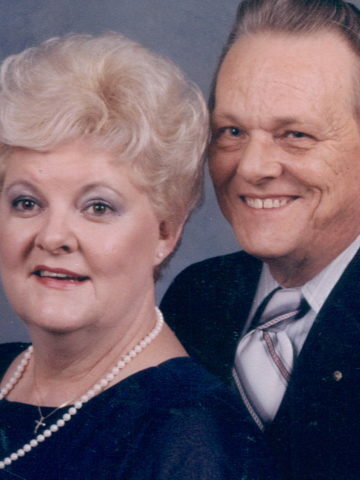 Interment will follow at Harpeth Hills Memory Gardens. Martha and Billy were the sweetest couple. I was so blessed to have known them and have them in my life. As long as the flag flies at your house, I will keep it straight! Miss Martha was a sweet loving woman that Clay and I thought the world of. She was my dance partner at the festivities at New Beginnings. She will be missed and is loved by all that knew her. Prayers for comfort and strength to the family.